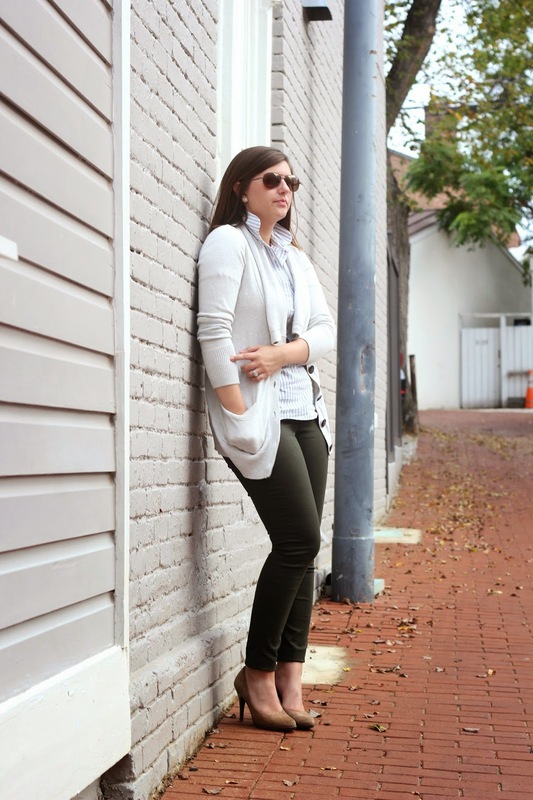 LOVE the dark green skinnies! I love those skinnies!! 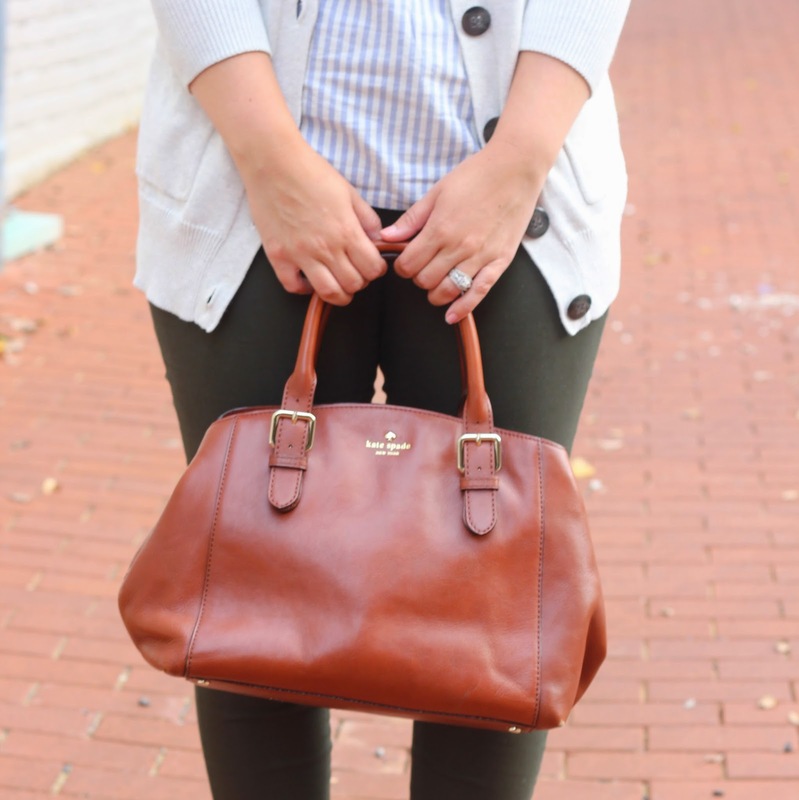 Dark green has been totally on my radar this season. It's such a nice, rich shade! Loving your bag too. So perfect. I love this look I want to steal everything! I think I have that top in green stripe I will haevto try fall-ing it up like this! So pretty…I can't stop staring at your bag, it is a stunning color! I love taking pieces and transitioning them through the seasons. 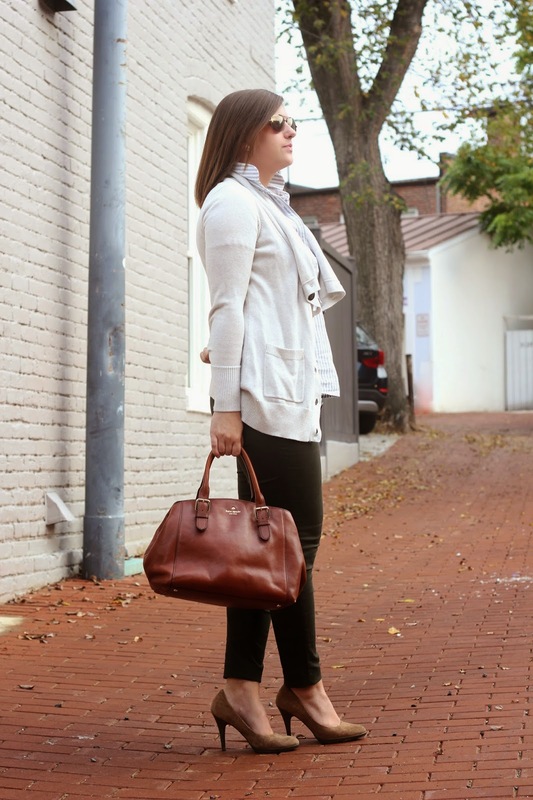 I think you did a great job styling seersucker for fall, and your handbag is gorgeous! 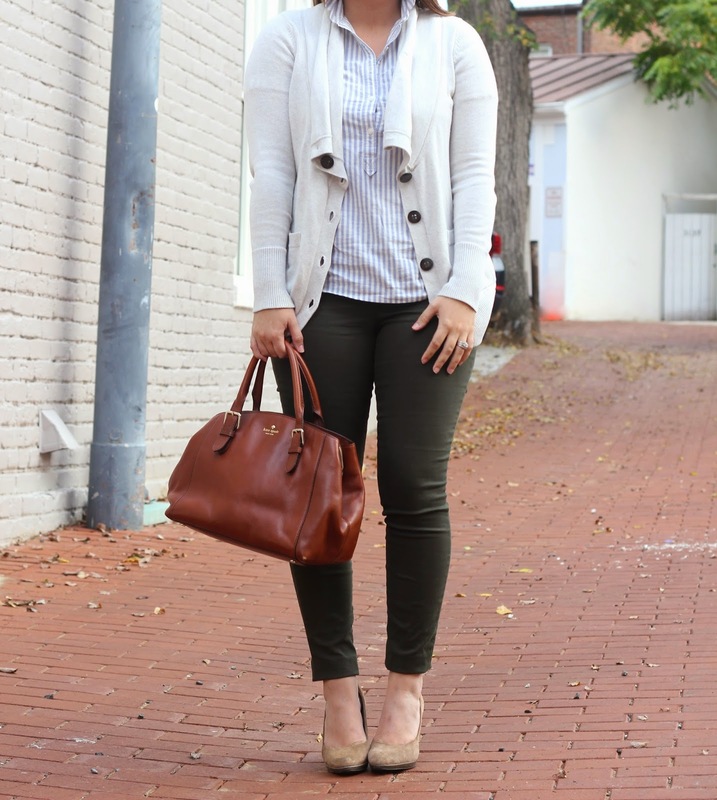 I always love these clean, simple looks for fall!